I recently read an article on psychologytoday.com entitled Why Our Thoughts Are Not Real. This wasn’t the first time I had read an article that talked about the fallaciousness of our thoughts and how we often misinterpret the information our thoughts give us. Everyday we are filled with thousands of thoughts, most of them aren’t even real, but we assume and act on them as if they are real and that is what causes us to have many of the feelings and behaviors we have that cause us so much strife. Our thoughts on their own are just thoughts, they don’t exist in reality, you can’t touch them and they really aren’t anything at all until we make them real by engaging in, dwelling on and trying to do something about them. Consciously the client didn’t chose to have this thought, it just popped into her head and if she ignores it for a while, it will likely fade away and she will forget she even had that thought, but what most people do, especially people with anxiety, we try to do something to get rid of the thought which causes us to pay more attention to the thought which causes the thought to become more real and anxiety provoking. The person in this case is then more likely to continue wondering if she looks stupid, may go look in the mirror and start scrutinizing her attire even more and may go to a coworker asking “do I look stupid in this” and may feel relieved when the co-worker says “No, you look fine” or may create even more anxiety by saying that her coworker is just too nice to hurt her feelings. Whatever the case, the point is that because she is thinking about the thought, that isn’t even real, she is making it more and more real and creating more and more anxiety, when if she would have just let the thought enter her brain, allow herself to not do anything about it, including thinking about it, the thought most likely would have left her awareness and she would have went on with her day without being overly conscious about her attire. When we start given our thoughts attention, that’s when they start to feel real and start to have some control over us because we typically want to do something about it. People with anxiety generally create more anxiety because they attend too much to their anxious thoughts and generally try to get rid of it, by doing something which causes even more anxiety, similar to someone with obsessive compulsive disorder. The same goes for people suffering from depression. They may have the unreal thought “no body likes me” and so they withdraw from people and when they find themselves alone use that as further proof that “no body likes me”. When it comes to anxiety, I had a client who suffered with anxiety and her boyfriend would break up with her almost every week. When he would break up with her she would have the thought, “If he leaves me I will be alone and miserable for the rest of my life”, that thought would cause her to panic and she would call and text him repeatedly. He wouldn’t respond which would amplify that thought and her anxiety so she would jump in her car and drive fast and recklessly to his house where she would pound on the door and cry until he opened it and they reconciled. Later she would always be depressed by the frantic and pathetic way she responded, yet the next week she would do it all over again. I had to help her learn to just sit with her thoughts and feelings and do nothing about them, even though she felt like she needed to. It was hard for her not to call, text and drive to go see him the first few times we worked on this, her anxiety was through the roof, but when she finally allowed herself to sit with the anxiety, to try to not think about it, she was surprised that after about 20 minutes, the anxiety went from a level 10 to about a 2. It would come back when she thought about it and we had to work on letting it go again, and once again her anxiety would go back down without her doing absolutely anything except not giving it life by attending to it and trying to do something about it. After a few sessions she was able to sit with her anxiety and not have it cause her whole world to stop or spin out of control and with that, her self-confidence increased and she was able to handle her situations a lot better, without panic, but with a clear level head. I think this is something we can all practice. Remember that our thoughts are not real until we breathe life until them, and especially when it comes to an uncomfortable thought, sometimes doing nothing about it, including not thinking about it, will allow it to leave our consciousness and fade into nothingness instead of causing us to feel and do erratic and irrational things. Distraction is a good tool to use when it comes to this. Instead of thinking about the thought, do something to distract yourself. I do it all the time and with practice it becomes really simple. Usually in about five minutes whatever the thought was causing the anxiety, sadness, or whatever, will fade from my consciousness and not have crippled my day or caused me a great deal of distress. This is a simple solution that can help us all live happier, more fulfilled lives. 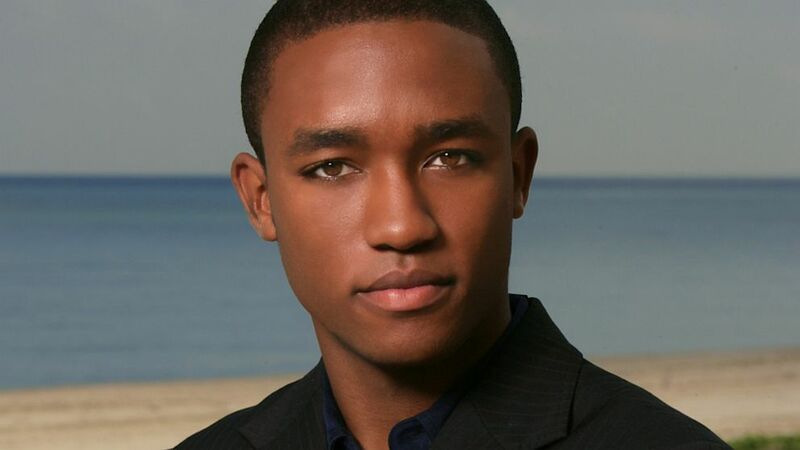 I have been a fan of Lee Thompson since my college days when I would find myself watching The Famous Jett Jackson on the Disney channel despite it being meant for teens between the ages of 12 and 16. After all, here was an African-American movie star/spy who lived with his father and grandmother and got into various adventurous with his friends, how could I not find that interesting? Lee also starred in the movie Friday Night Lights and was in Akeelah and The Bee . Tragically however, Lee, who was currently starring in TNTs police drama Rizzoli & Isles, committed suicide on August 19th. He was just 29 years old. I personally was shocked by the news of his death because he was a fairly low key actor. I never heard about him getting into trouble with the law, abusing drugs or alcohol or even much about him having any mental or emotional instability. I always assumed he was just doing fine and that is the danger when it comes to suicide. As I have stated before, I have done a lot of crisis counseling in the aftermath of people who have committed suicide and often the words I hear from family members and friends is that they thought the person was doing just fine and their suicide came as a huge shock. And this is where some of the stigma that surrounds mental illness comes into play. According to sources, Lee may have been battling depression quietly for a long time. Some are saying that he really changed once he started practicing an African religion called Yoruba, but it’s very likely that in an attempt to ease his depression, he sought refuge in religion and when that failed to lighten his depression, he unfortunately thought his only alternative was death. Sources say that his mom was worried about him because many of his friends that lived in Los Angeles with him had moved and that he was surrounded mostly by “industry types” and not real friends. If this is true, definitely having a lack of a support system/network increases the chances of someone with suicidal thoughts to actually act on them. Apparently Lee was close to his mother and sister, but probably out of pride and/or shame (stigma even), never told them about his depression or at least about how bad it really was. Many times men feel weak for feeling depressed and will hold it in and take their lives without anyone knowing how long they had been suffering. His coworkers on the set of the show Rizzoli & Isles got suspicious when he didn’t show up for work and sent an officer to his house to check on him and that is where he was found dead. Jackson didn’t leave behind a suicide note, but sources say that he took his life with a gun. This comes right after reality television star Gia Allemand (who was also 29) of Bachelor and Maxim modeling fame committed suicide by hanging herself with a vacuum cleaner cord two hours after her NBA boyfriend Ryan Anderson told her that he didn’t love her any more on August 12th. According to Gia’s father, she had a long history struggling with dealing with rejection when it came to friends and boyfriends. Honestly I didn’t know much about Gia until this happened. I remember getting ready for work when it came on the morning news show and I paused to listen to the story. It’s troubling to me when anyone who commits suicide, but it’s especially painful when people who are in the spot light commit suicide because that often sends a message to their fans and others that it’s okay to end your life if you think there is no other solution. Unfortunately when you are in the middle of a deep depression or a mental/emotional/psychological break down, it’s easy to imagine that life will never get better, that it will never be as you want it to be and that death is an easy escape. Suicide is a permanent decision to a temporary problem is a popular saying, but unfortunately suicidal people ususally believe that their problem is indeed permanent even when it’s not. 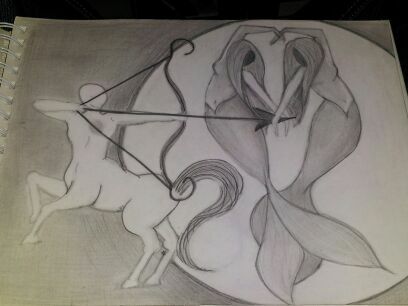 August 14, 2013 by Torey C. Richards, LMHC1 Comment on Resource: Why fear of discomfort may be ruining your life? This morning I read about Ronda Rousey, someone many of you probably have never heard of, but she is one of, if not the most famous woman in mixed martial arts and is the current female bantam weight champion. Last week Thursday she hinted in a MMA article that she may retire early and possibly have a baby. A simple consideration for a young lady in her twenties, but many of her “fans” didn’t take it that way. Many of her “fans” were irate and took to Twitter angry that she could even be thinking about retiring early, when she is still in the prime of her fighting career, and even more so, to retire and have a baby as if even thinking about a life outside of fighting was a sin. She fought back on Twitter with her own angry comments and disappointment that even her talking about, thinking about retiring had her receiving backlash. She went on to say basically that she isn’t going to continue doing something if she feels like she’s accomplished what she set out to accomplish and/or doesn’t enjoy doing it any more. That got me to thinking about a lot of things, including how we are affected by other peoples expectations for us and plans for us. You see, many of her so-called “fans” had put Ronda into a box and couldn’t even imagine her stepping outside of that box until they were ready for her to do so. People will always have expectations and plans for us and a lot of times those expectations and plans will go against our very own expectations and plans. As long as we are living up to other people expectations and plans for us and our lives (living within their box) then things are very copacetic, but once we go outside of those boundaries, then things can get complicated and even heated. We know this from being children, especially teenagers and young adults. Maybe your parents expected you to go to college to be a doctor, but you decided to follow your dreams of being a fashion designer. How did that work out? Did your parents still support you or did they show their disapproval the way Ronda’s “fans” have at her decision to not fight until she is physically beat to a pulp with no life outside of fighting? The same thing comes with friends and relationships. Maybe your husband expects you to stay at home with the kids, but that’s not what you want for your life? Is he going to support you in your decision or is he going to make you feel bad for even considering working outside of the home? Most of us are influenced to some extent by other people’s expectations and plans for us and often times we don’t even know it. When we make plans for our own lives that go against what other people already had planned for us, it can send across waves of anxiety, even amongst those who are supposed to have our best interest at heart. Take for example if you and all of your friends are stuck in a dead end job, but you decide to go back to school, switch jobs or are given a promotion. These same friends may resist that change, try to prevent you from making it or have animosity towards you for doing it. One reason is that when we do something for ourselves that goes against other people’s plans and expectations for us, it causes them to reflect on how that change will effect them and forces them to think about themselves, their lives and about what they are and are not doing. That’s why you can’t always expect your friends and family to encourage or celebrate your changes and accomplishment because your new direction may cause them anxiety which usually causes people (instead of focusing with in) to lash out either by not supporting your decision, plotting against it or having bitterness towards you for something as simple as buying a new car or getting a new hair-do. When you do something that is different, they have to ask themselves, “now what for me?” and/or “What does this say about me?” Does your new car make them wonder what are they doing wrong so that they can’t afford a new car? Does your new hairstyle make them wonder why they can’t be as courageous as you are (instead of looking inward and recognizing that unconscious thought, they are likely to “dislike” your new hairstyle and try to make you dislike it too). So, when making plans for your life, I think it is good and healthy to expect some resistance from those who are supposed to care about you the most. Hopefully all you will get is support, but don’t be surprised if you meet resistance or what some people call “hate”. Don’t get frustrated by it or allow it to distract you. All it is is a mirror being reflected back on them that makes them have to question their life and that is a good thing when they use it for motivation instead of “hater-ation”.